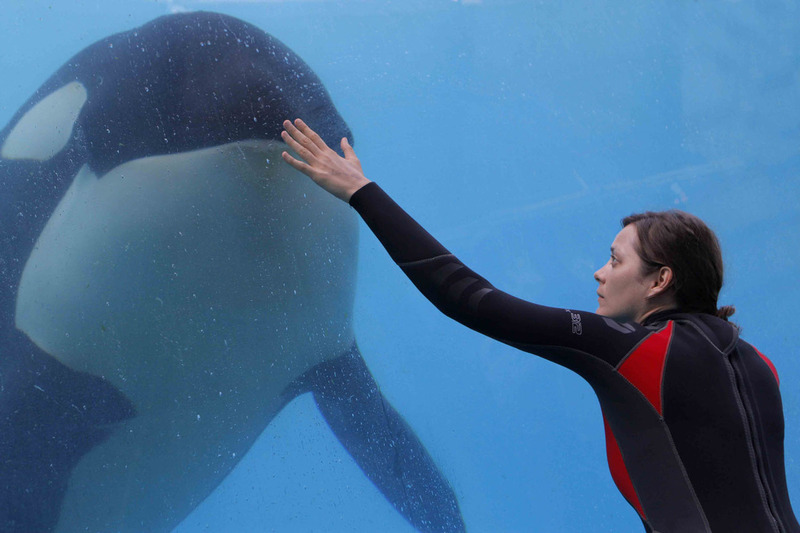 Does Marion Cotillard forge an anti-Ahab heroine for our time in “Rust and Bone”? Marion Cotillard has proven her acting mettle many times over, and sounds like she’s still forging a distinct destiny as one of the great actors of her generation, with this new performance. Just maybe she’s creating a new sort of anti-Ahab heroine. I look forward to this movie and maybe even to the rare occasion to applaud at the end. Genuine human courage has been forsaken too often in our times. Lance, are you listening? Thanks for the critical tip-off from my former colleague at the Cap Times, Rob Thomas. I just added this to my Facebook page and then I thought, what the hell, this is too damn good not to share with everyone. So go on, dig Carlos Santana, Derek Trucks and Susan Tedeschi… Have a happy new year and make somebody happy, make somebody strong. Does rhetoric like this cut through any more? I hope so. “Portrait of the Artist” by Rembrandt ca. 1665. Image courtesy wikipaintings.org. Admission to the Milwaukee Art Museum is free today, January 3, as it is each first Thursday of the month. The museum is open until 8 PM today . but normally 10 AM to 5 PM, Tuesday through Sunday. Single admission is $15 for adults, $12 for students, seniors (65 and over), and military (with ID), and free to members and children 12 and under. Memberships for the MAM are available at the museum or by phone from the Membership Hotline,414-224-3284, or online at www.mammembership.org. It is a face for the ages, humanity writ larger and deeper than is otherwise imaginable, painted by perhaps the one artist capable of such. 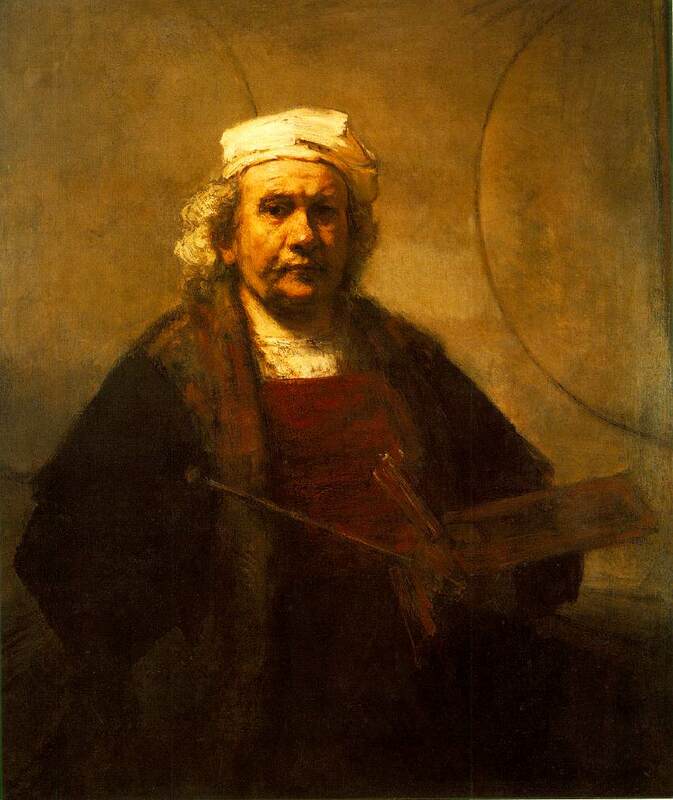 Because visual art is experienced in a single fell-swoop intake of the senses, mind and heart, “Portrait of the Artist” by Rembrandt van Rijn, currently at the Milwaukee Art Museum through January 13, represents an extraordinarily concentrated and rare opportunity for immediate cultural enrichment. Seeing it ought to be a New Year’s resolution. Because the painting is by common critical consensus “the definitive self-portrait by any artist,” the viewer stands to gain the uncommon insight into humanity that only the best artists can provide. Perhaps you’ve procrastinated in seeing this truly phenomenal work of art at, not uncoincidentally one of the great contemporary architectural cultural facilities in the world today, designed by Santiago Calatrava. Having just seen the Rembrandt portrait myself, I offer a fresh testimony to persuade any reader to make every attempt to see the painting, and the accompanying exhibit Rembrandt, VanDyke, Gainsborough: the Treasures of Kenwood house, London, before it leaves Milwaukee. Perhaps your tastes are modernist and you resist much of this show’s Baroque-era artwork, wherein artists often depict the upper-class in deferential, indulgent manner as matter of practical employability. But there’s more of strong interest to the exhibit than that, and even if there weren’t, the opportunity to see this great portrait in the flesh of its timeless oils makes it a worthy pilgrimage. Seeing the late-life Rembrandt self-portrait in person can make all the difference, given that I have known it as a reproduction since I was a young man studying as an art major. It is the only work in the exhibit behind glass and the only one with its own alcove and security guard, standing beside it during exhibition hours. But here it is why it is worthy such special treatment. You see as precisely and as ambiguously what the man can embody — as a genius’s image of himself. The exhibit includes a small handout pamphlet which depicts all of Rembrandt’s painted self-portraits through his life, which allows you to see the man age and grow over his life — and thus visually contextualize this remarkable work. Though the exhibit includes none of these seven reproduced renderings but the penultimate one, you can see immediately in the first one from 1629, a raffish bohemian with an unruly, tumbling mane. But there we see the artist’s already poised genius at using shadow to counter-intuitively infiltrate human character. Nevertheless, not seeing the other works in person is hardly another excuse to not see the single work that virtually bespeaks that whole life. Painted around 1665, this is not quite the artist as an old man but as an aging one probably around 58, who has yet to accept or shed many of life’s trials, burdens and illuminations. Despite the unusual glass over oil, Rembrandt’s impasto highlights tenderly the offsetting mutations of chiaroscuro, or shading of shadows. If one sees a certain wise serenity in his expression, there’s much more upon further in-person inspection. One quickly senses that part of the genius lies in the looseness of brushstrokes that capture or interpret the details of a physical countenance. 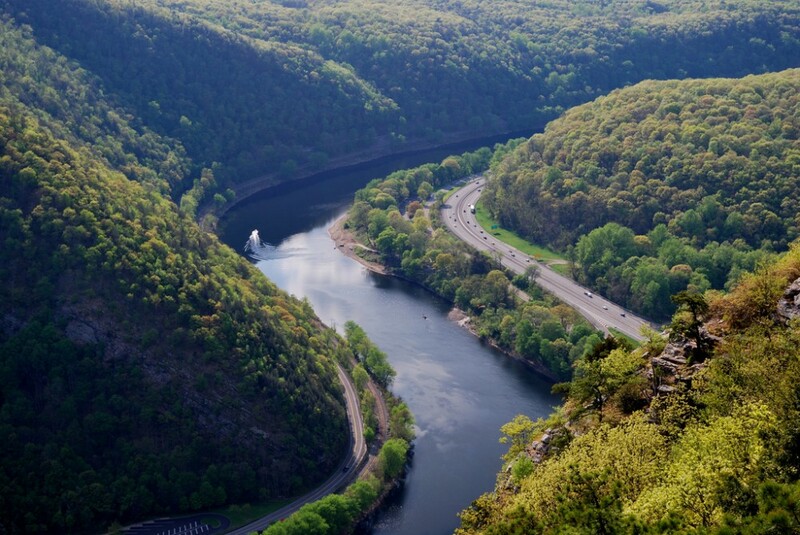 You sense the history of his life, in the face’s miniature valleys, peaks, pools and crevices — sculpted by 58 years, secrets of the soul that are partially and tantalizingly visible. This is why you can’t look away immediately without sensing you’ve lost a precious thread to the inner self whom Rembrandt offered first to himself — the most crucial viewer — and then to posterity. It’s something to be cherished. See the horizontal scar over his left brow, surely a story unto itself. Yet the slightly pursed lips demarcate measured and studied concentration and, yes, self-judgement. A somewhat pugnacious nose is marred on the left side with a creamy highlight which pushed the snout into an asymmetry that this self-defining classic modernist could appreciate, as self honesty. He had to go deeper than his contemporaries; he had no one to answer to but himself in this work unlike, say his famous group portrait of “Dutch Masters” which is actually titled “The Syndics of the Draper’s Guild,” from 1662. Here his eyes appear as dark blotches, but their shadowed setting tells all: drooping eyelids, especially heavy under the left eye and their somewhat contained artistic focus, yet also his life burdens and, to me, a deep-seated insecurity, which many people of high accomplishment hide, yet face with. The brow casts his magical shadow on the eyes so this earthy-pigment sensuality and creamy highlights add dimension to the dark orifices of vision that seem bottomless even as they remain somewhat obscure. For sure, precise technical delineation of eyeballs is hardly his concern. And so you can walk as close as the security guard will allow you — perhaps a couple of feet — and appreciate Rembrandt’s brushwork in its abstract luster, suppleness and sensitivity, and then step slowly back and allow the man to emerge with the weary history of a personal presence that may haunt you, like the mysterious yet beloved late uncle who never really went away. His hair remains somewhat unruly though greatly grayed since the 1629 portrait. His contemporary academic observers must’ve shuddered at the jaunty carelessness of his hat’s tilt, and the slapdash depiction of it, the paint still seems to be drying, as an afterthought applied just five minutes ago. If so transported, you might even whirl around to look for him at this moment, standing behind you. The fact that the hat is barely rendered suggests Rembrandt’s lack of narcissistic regard for his own ornamentation (or scorn for such, for many its preening commission subjects) and a point of focus he doubtlessly observed to death in his portrait-painting contemporaries. There was far more important work to be done here, and a higher master to answer to than his physical self. So the murky earthen palette marks his fundamental yet complex relationship to Nature, just as it does evidently and most all humans captured by his palette. As he holds his actual palette and brushes, the famously sepia array of tones engulf his strong left artist’s fist with his financial and personal difficulties of the time, and profound nuances of a great artist’s still vital presence. One can almost hear a heavy, faintly wheezing sigh seeping from his broad chest.